Conny Andersson, the Swedish chef who cooked for what seemed like forever at the Four Seasons hotel, has opened his own place near the beach. It's a chic, casual spot with cement-and-hardwood floors, sleek Scandinavian aesthetics and a global menu emphasizing Swedish classics. We loved: Blue mussels with spicy duck sausage and pistachio-parsley pesto; skirt steak with soy. After making their names with 2 Dudes Catering, F&W Best New Chefs 2009 Jon Shook and Vinny Dotolo opened their first restaurant in 2008, a bare-bones space in the skater-punk Fairfax district. They bring a ravenous, carnivorous appetite to classic California cuisine. We loved: Raw amberjack with blueberries and chiles; biscuits and gravy with seared foie gras. 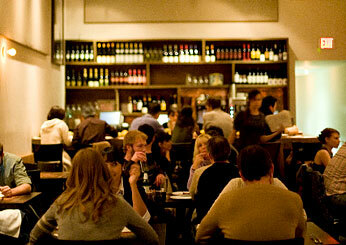 David Myers (an F&W Best New Chef 2003) rose to stardom at Sona (which is still stellar). Now he has expanded his local empire with this French brasserie, which serves three meals a dayfrom crème brûlée French toast to duck confitin the heart of Designers Row. We loved: Roasted beef marrow and oxtail jam; chilled seafood tower; the El Diablo cocktail of tequila, ginger, fresh lime and soda. A 23-acre estate in Pasadena, nine miles east of downtown L.A., might not be everyone's idea of the perfect location for a luxury hotel. But the trek is worth it for the tasting menus by one of the most imaginative and gifted chefs in the area, Craig Strong. We loved: Diver scallops in chicken-skin crust; "liquid" polenta and truffles with poached quail egg. Up-and-coming chef Travis Lett's cracker-thin pizzas, baked in a wood-burning oven, are just part of the reason Gjelina is one of the most buzzed-about restaurants in town. L.A. also loves Lett's commitment to sustainable cuisine and the outdoor living room and fire pit in Gjelina's backyard. 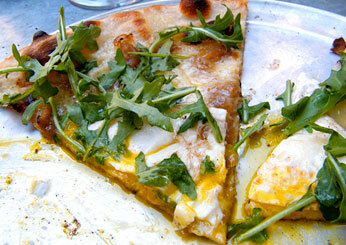 We loved: Mushroom toast; lamb-and-goat cheese pizza. F&W Best New Chef 1999 Suzanne Goin's first spot is always packed, which means it's tough to score a table, much less one of the few, highly coveted ones on the patio beneath the olive trees. 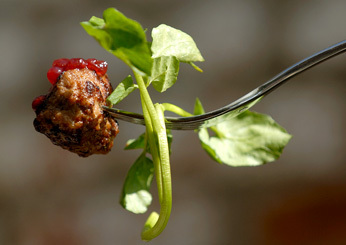 Long before locavorism caught on, Goin began offering one of the best locavore dining experiences in California. 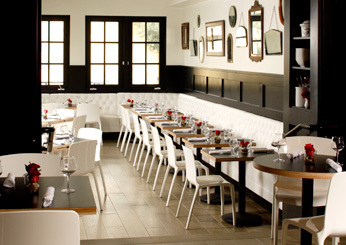 We loved: The best French fries in L.A; date-brown butter bar with candied tangerine and vanilla ice cream. 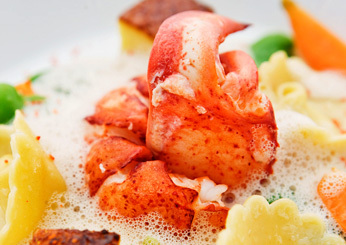 Chef Michael Cimarusti's whimsical take on fine dining might start with a frozen gin and tonic the size of a thimble, and his glorious seafood dishes, like sea urchin risotto with lobster, are seriously delicious. Cimarusti is committed to sustainability, so his halibut is always line-caught. 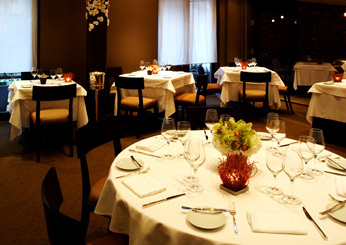 We loved: Tableside Santa Barbara prawns; slow-cooked sous-vide veal loin with celery-root puree. 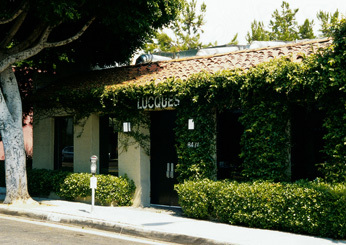 Most nights, this minimalist Japanese restaurant hidden above Tiffany's on Rodeo Drive serves no more than 10 customers. That's because there are only 10 seats at the immaculate wooden counter, and the $275 sushi feastsfeaturing seasonal rarities like fugu (blowfish)can last several hours. 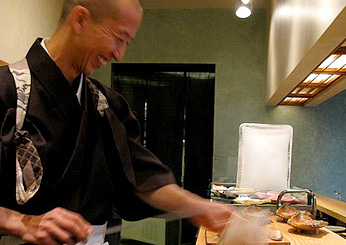 We loved: Shabu-shabu of foie gras; the most pristine sushi in L.A. 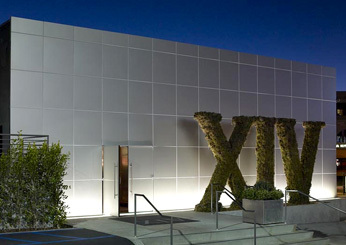 When Wilshire opened a few years ago, everyone dined at this Westside restaurant because they wanted to see and be seen on the fabulous starlit patio. 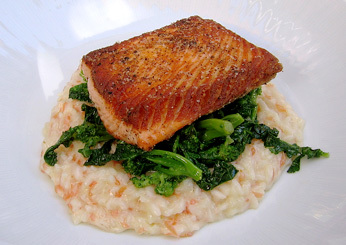 But thanks to talented new chef Andrew Kirschner, the main attraction is now the food, including appealing dishes like pan-roasted salmon with Meyer lemon risotto. We loved: Wood oven-roasted mussels; whole fried snapper. Michael Mina of San Francisco's eponymously named restaurant has returned to the city that launched his career as a chef. This time, Mina gives diners the freedom to create their own eight-to-14-course tasting menus out of tiny platesbut the catch is that ordering à la carte isn't an option. We loved: Sake-and-maple-cured kampachi; black truffle risotto with corn and Castelmagno cheese.